THE #3 SUNDAY TIMES BESTSELLER Discover the shocking gender bias that affects our everyday lives'A rallying cry to fight back' Sunday Times'Press this into the hands of everyone you know. It is utterly brilliant!' Helena Kennedy'A game-changer; an uncompromising blitz of facts, sad, mad, bad and funny, making an unanswerable case and doing so brilliantly...the ambition and scope - and sheer originality - of Invisible Women is huge' The TimesImagine a world where your phone is too big for your hand, where your doctor prescribes a drug that is wrong for your body, where in a car accident you are 47% more likely to be seriously injured, where every week the countless hours of work you do are not recognised or valued. If any of this sounds familiar, chances are that you're a woman. Invisible Women shows us how, in a world largely built for and by men, we are systematically ignoring half the population. 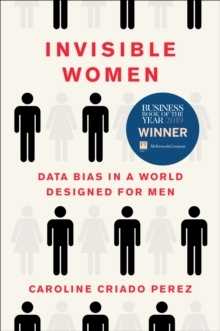 It exposes the gender data gap - a gap in our knowledge that is at the root of perpetual, systemic discrimination against women, and that has created a pervasive but invisible bias with a profound effect on women's lives. 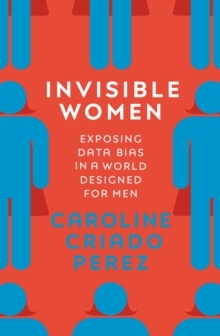 From government policy and medical research, to technology, workplaces, urban planning and the media, Invisible Women reveals the biased data that excludes women. 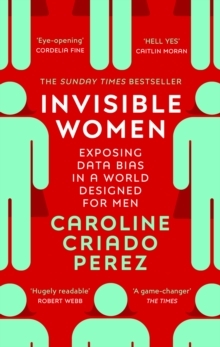 Award-winning campaigner and writer Caroline Criado Perez brings together for the first time an impressive range of case studies, stories and new research from across the world that illustrate the hidden ways in which women are forgotten, and the impact this has on their health and well-being. In making the case for change, this powerful and provocative book will make you see the world anew.